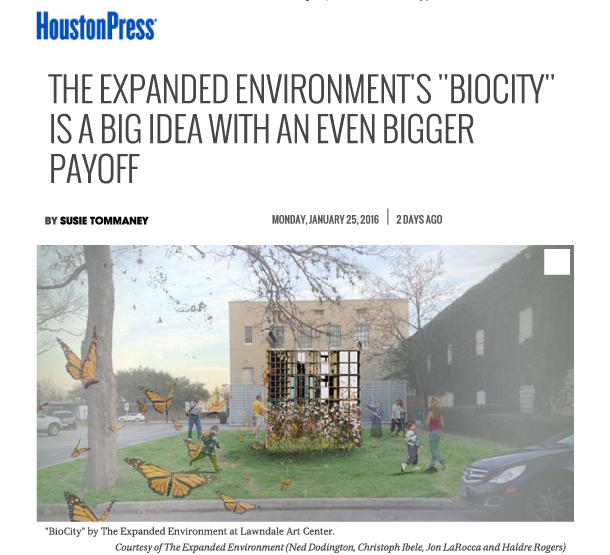 The BioCity installation has continued to garner an exciting amount of press in the Houston local media. Check out the stories below for write-ups about the show and then come check it out for yourself! 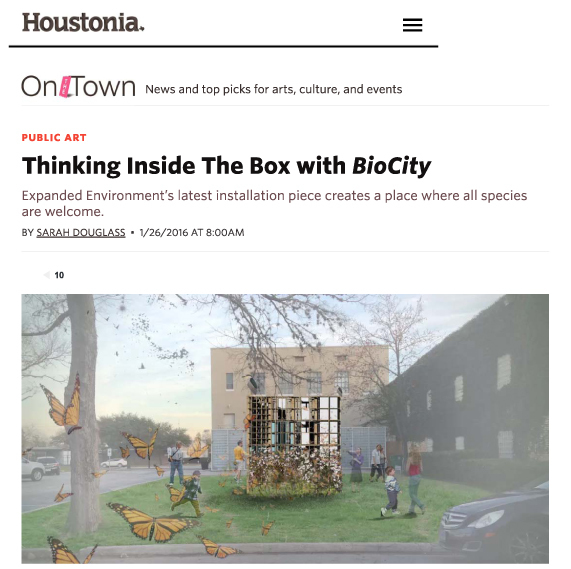 Houston Press pdf download here.